With the Gowanus Canal, one of the country’s most polluted waterways, undergoing recovery, a 2016 independent study found some species of birds are returning to its waters. A group of citizens toured the canal last Thursday to check out the growing number of wildlife. Pursuing his curiosity, Lee Patrick, a Miami University of Ohio student, observed different areas along the Canal to test if birds are returning to the Superfund site’s healthier areas. Although the results of the study were not statistically significant, Patrick observed waterbird and shorebird species swimming in and hunting within the waters of the canal. “Certainly there are sparrows and pigeons and more common things, but the things I got excited about was seeing egrets, a Killdeer, chimney swifts, also cormorants that are not uncommon,” said Patrick, who spent several weeks comparing the birdlife in different points along the canal. “I can definitely see that they were catching fish and hunting and going under water, which I just thought was interesting given the conditions of the Gowanus,” he said. Gowanus Dredgers Canoe Club, a nonprofit that has been working for the city’s waterfront restoration since 1999 led the birding voyage with the intent to offer a different view on the polluted waterway. Brad Vogel, executive director at New York Preservation Archive Project and dredgers member, said that the club members had seen more birds in the Gowanus in the last two years than before. They believe the increase can be attributed to a slightly healthier water quality. During almost two hours touring the waters, a group of eight bird enthusiasts could observe cormorants, geese, seagulls, crows and a particular species that couldn’t be recognized. “[It] reminds you that there is a lot of life around this canal,” Vogel said. Activities of limited contact with the canal like canoeing or kayaking are not expected to harm people’s health, according to a New York State Department of Health study. Vogel says that birding and canoeing along the canal are aimed at getting people to know the waterway. 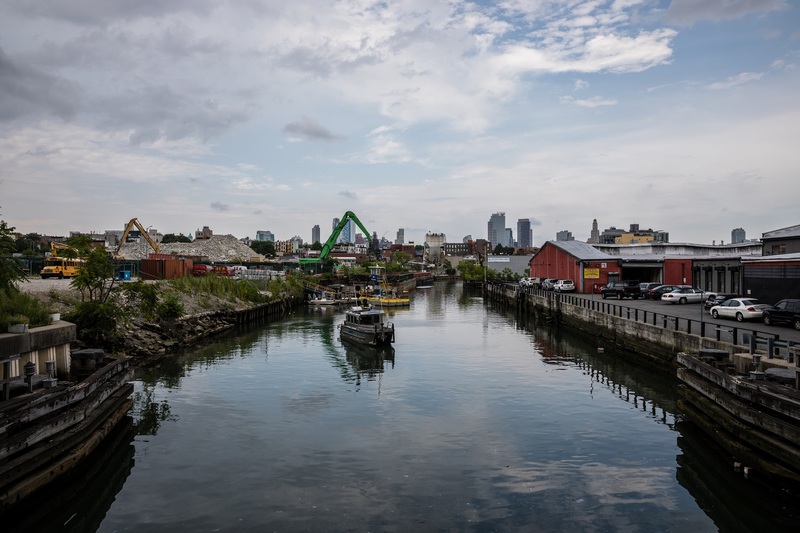 He believes that it’s a way for the community to become more invested in the Gowanus and see the ecological problems that it’s facing to advocate to keep the cleanup rolling.